Oh my gosh, it's been quite the morning. I planned on getting my post for today on much earlier, but had a little mishap this morning. In the wee hours of the morning today, our smoke detectors went off. Scott and I jumped out of bed and ran to the girls' rooms, checked them and then continued running through the house to see if there was a fire anywhere. Luckily, thank goodness, no smoke and no fire anywhere and the detectors stopped screaming. Our detectors are all hard wired in the house, so if one goes off, they all go off and I swear you can hear them all the way down the street from our house. We couldn't figure out what set them off. After our hearts stopped pounding out of our chests, we finally fell back asleep. Scott went off to work and the alarms sounded AGAIN! Hearing that sound just sends shock waves through you! I called Scott and he called our neighbor, an electrician. Meanwhile, I Googled (love Google, by the way) what could be causing this. The detectors never have done this. They have batteries in them for when the power goes out, which we all know happens here. However, when the batteries need to be changed, the detectors making a chirping sound, usually when I'm trying to fall asleep at night. :-) So, we knew it wasn't the batteries. Possible causes could be humidity, dust, an insect or one or more of the detectors needs to be replaced. The trick is to see if you can figure out which is the "bad" detector. It will sound off first, like a split second before the others echo behind. My thoughts were this is bologna and maybe that wasn't the first word that popped into my head. :-) Luckily, the next time they sounded off, I could tell, barely, that it was the detector in the mudroom. Scott walked me through how to remove it and it was definitely the culprit because they have been quiet ever since. In the end, I am so thankful we are safe and we have smoke detectors that work properly. Annoying as this event was, I'm glad we have detectors that tell us when there is something wrong with them. So what I really wanted to post about today was about my day I had this past Monday. I went to Shipshewana to meet a fellow blogger that wanted me to quilt for her. JoAnne of the The Patriotic Quilter was on the Mainland and wanted to leave me a quilt top while she was here. Why do I say Mainland because she resides in Hawaii!!! Shipshewana ended up being the perfect place to meet. Really broke my heart don't you think?? Yeah, right!!!! LOL! It was such a delight to meet JoAnne in person!! 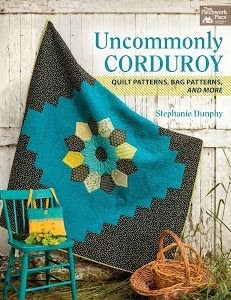 The real story is her gorgeous quilt top!! 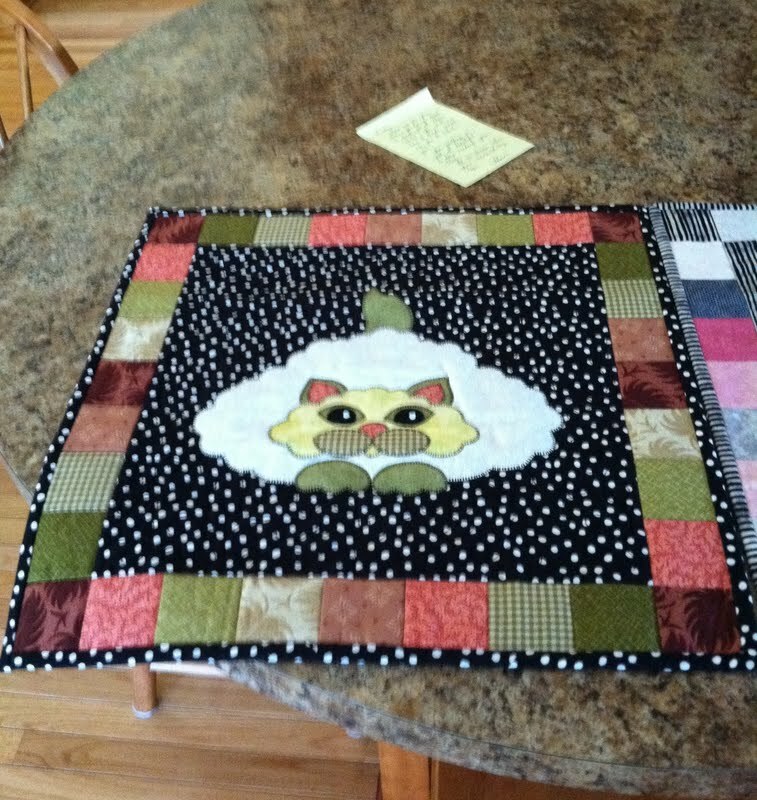 JoAnne made a stunning version of the "Omigosh" quilt. It's a pattern by Sue Garman. Look at all those pieces!!! See the dime I placed on the top? Each little square finishes 1.5"!!!! Wow! That's a-lot-o-pieces, folks! It's a super heavy top too. I can't wait to quilt it! Bravo, JoAnne for doing such an amazing job!!! I think she said it took her about 6 weeks to complete. Would've taken me 6 YEARS! LOL! JoAnne posted about it in April and May. Hope everyone has a great weekend!! I know I will!!! Kristin and I are off Sunday to see Keith Urban again!! I'm so excited!!! We are headed to Indiana this time. I will post all about it next week!! For the record, yes, I had the best time ever at the Keith Urban concert last Friday night! I have lots to share about that later in the week. Lots of exciting things going on here. Busy seems to be the norm. I am way behind on emails and comments, please forgive me if I haven't responded...yet. I plan on playing a little catch up. This quilt was made for Baby E, Nicole soon to be first granddaughter. It was very special to have a little part in such an exciting event! Nicole did an amazing job on the quilt. Bliss fabric was perfect for such a darling pattern. I love this quilt!! Nicole suggested an allover pattern, but left the design and thread choice up to me. I quilted a pretty flower design, all freehand. Scott actually picked the design from some of my practice samples. He really is getting a good eye for all this quilting stuff. The back is so pretty too! These pics really show the pretty texture of the quilting. Tonight is one of the two Keith Urban concerts I am going to this summer!!! I'm so excited!!! It is my 5th time going to see him. And no, it never gets old!! My sis, Kristin and I always have the best time! Some years we've been right up at the stage, like in the picture. That was the concert where I was tossed a drumstick. We had the best time ever!! Last year we drove nearly 4 hours to Indianapolis, Indiana. The concert was outside at the Indiana State Fair and we were all the way up in the grand stands. The weather was hot like it is now and it was literally 110*! That year was quite the adventure. We had no idea we would have to walk so far to get to where the concert was inside the fair. That was a huge fair, FYI. We weren't really wearing shoes appropriate for that size of a hike! LOL! Plus, we were carrying a huge sign that Kristin had made that day, so Keith would be able to see us in the grand stands. Ha! 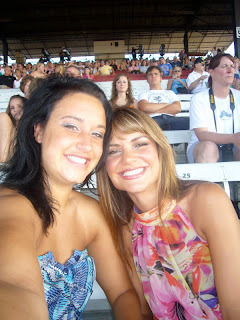 :-) It was soooooo hot in the grand stands. We were dripping sweat just sitting there! As we were waiting melting in the heat Kristin and I had a little fun with the camera. We took photos like were in a little photo booth. Look what showed up in the mail. These were sent by my dear friend Sharon for the the girls. Sharon is my friend and former co-worker at the quilt shop that recently moved to Texas. 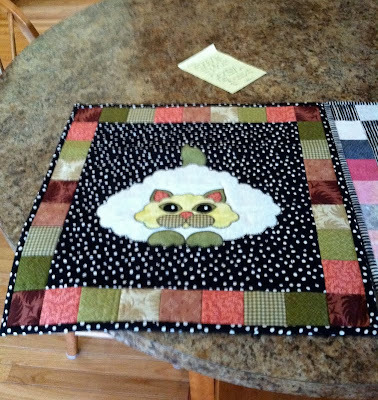 I posted the gorgeous quilt I quilted for her here. She sent these to the girls for doing such a wonderful job at their recital. So thoughtful of her. Sharon made each of the cats in the series of these Garden Patch Cats. They hung at the shop until Sharon moved. Every time the girls visit the shop and see the patterns, they drive me crazy, begging me to make them one. I still can't believe Sharon sent them for the girls!! I was a little emotional when I opened the box and saw them. It just made me miss my friend all the more. The girls, however were so excited when they saw them! The even slept with them in their arms the first night! They are now hanging in their rooms. Alyssa has Caulipuss. They match each of their rooms perfectly. Sharon did an amazing job on them!!! Her attention to detail definitely shows in her workmanship. One of my latest client quilts is a quilt made with snail's trails blocks. Just saying "snail's trails" makes me smile. :-) This is from a repeat client. The quilt will be a wedding gift for my client's grandson. June did a beautiful job on the piecing. Snail's trails blocks are a simple block, but need to be handled gently with all the bias edges with all the triangles. How do I know??? I made a snail's trails quilt for one of the girls. I'll have to post about that one soon, but first I need to reveal June's quilt! She wanted an allover design and I suggested...you guessed it...feathers!! I've been forgetting to post pics of the quilt before it's quilted. It's always fun to see the transformation. Wishing everyone a great weekend!! I am feeling so much better now! Thank goodness. It's hard to feel that lousy when you don't have time to. I think there are several little reasons for the migraines, so I'm really going to try hard to pay attention to my diet, exercise, sleep, how much time I'm downstairs quilting and glasses vs. contact wear and see if that helps. I'm back to quilting up a storm. I will have some pics to share shortly. First, I have to share my new favorite tools. Not for quilting...this time. Glass nail files. These are wonderful. The large one is actually a file for your feet to remove dead skin off your heels. These are made and sold by my clients that made the "Blue Winter Wonderland" and "Paisley Beauty" quilt. I gave one to each of the girls and my sister. These are like the best files I've ever used. I used the one for my feet after I took a bath the other night. My feet have never felt so soft!!! Amazing!! And they're so pretty too!!! Now, the one for your feet you are going to want to use once you get out of the shower or bath because it's made of glass. How awful would that be if you dropped and broke it in the shower?? You can order these online at Snazzycreations.com. 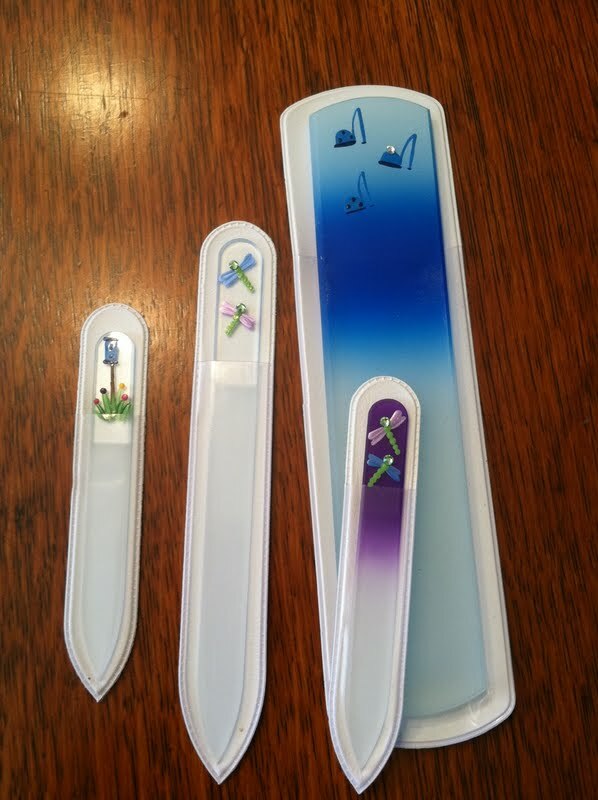 Deb mentioned that you can also have them personalized or custom painted to whatever you like. 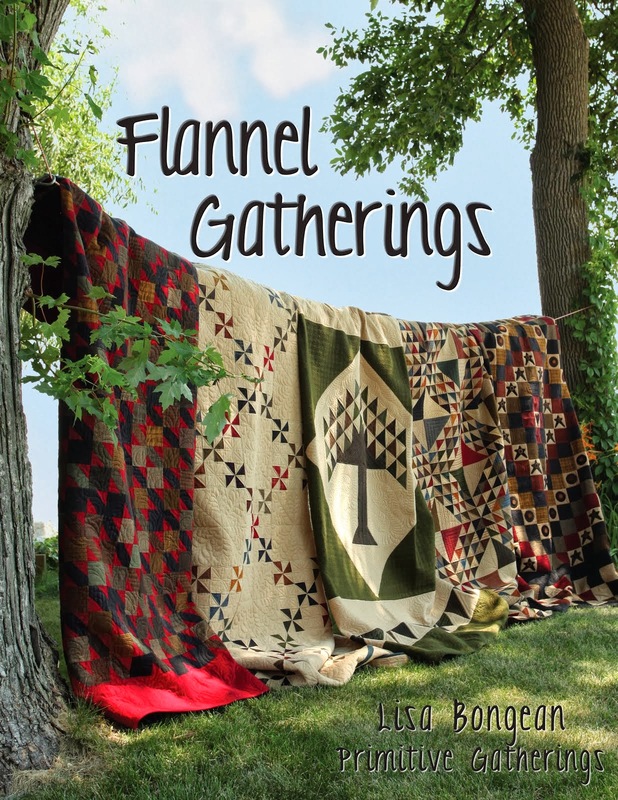 They travel to all the major quilt shows, so look for them there too. I think I'm going to get some more for Christmas gifts this year. Garden is coming along beautifully. 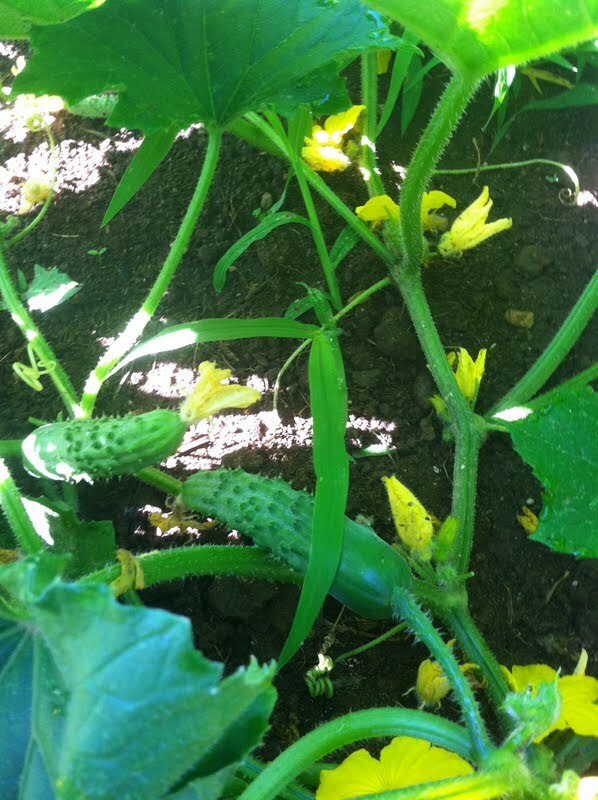 Cucumbers are finally getting some size to them. I'm thinking it's going to be cucumber crazy around here next week. 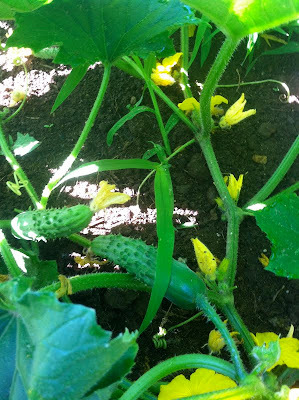 :-) There is like a 100 little cucumbers like these! Next week we'll be eating cucumber and vinegar salads, our favorite! 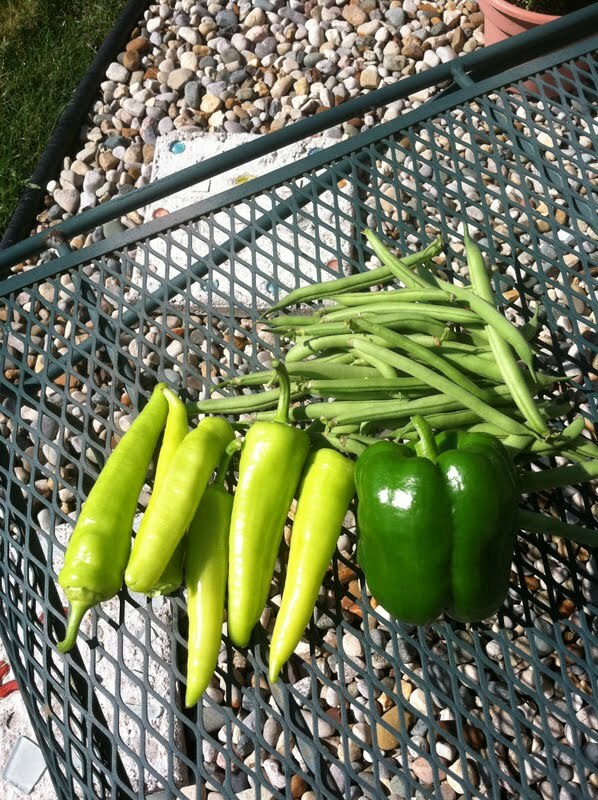 There is nothing like enjoying fresh vegetables that you've grown in your garden. By the way, I took all the photos with my new iPhone. Wow, it takes pretty nice photos! I'm very happy with my new phone! It's blistering hot here. Hope everyone is staying cool out there! I know what a lame post name. It's the best I could come up with. So my old nemesis, Mr. Migraine, has returned. I seem to be suffering a bit from them again. Recently, the last 3 days. It started coming on Tuesday night. By Wednesday night, I was in full blown misery. OTC meds are just taking the edge off and I'm eating them like they're Skittles. I'm going to the Dr. office this morning hopefully for some relief. I'm thinking I'm going to be getting a couple of shots in the keester again. :-) Actually, I'll take whatever they want to give me, wherever they want to give it to me...as long as it's works!! Fingers crossed this goes away, so I can get back to what I love doing...quilting. I did finish a client quilt earlier in the week. The quilt is currently en route to it's home and I don't want to spoil Nicole's surprise, so I'm not going to post pics until she sees it first. It's my first client quilt that I've shipped off. It was hard to say goodbye. I think the Postmaster thought I was a little crazy. LOL! I can't wait for her to see it. Let me tell you, it was a huge honor to quilt for this person! She writes one of my most favorite blogs and is one of the people that inspired me to start my blog. I'll post all about her quilt soon. 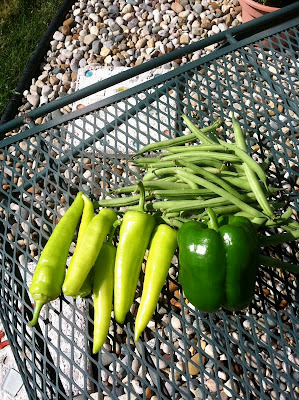 The girls' and I enjoyed the first pepper and tomatoes of the season from the garden. Tomatoes and pepper were so sweet and fragrant. I still can't believe how early these tomatoes are. It's the first year I've planted this variety, The Fourth of July Tomato. 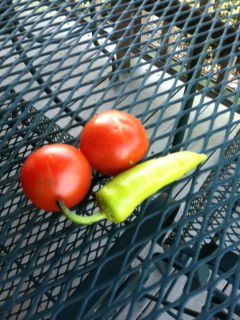 Pretty true to it's name, although the rest of the tomatoes on the plant are not even kind of close to being ripe yet. I promised the girls I would post pics of their first big bass. Look at the size of those fish!! I'm so proud of them!! Looks like their dad did one heck of job teaching them how to fish! One day they're ballerinas, the next...fishergirls! Hope everyone had a great Independence Day Weekend. We had a pretty low key weekend, but it was a wonderful time with family. Scott has been teaching the girls to fish for bass. They are really catching on too!! Both girls caught several bass over the weekend!! I'm so proud. I can't seem to catch a fish unless I use a bobber and a worm. LOL! I guess I'll just stick to quilting. My client, well actually it's a mother/daughter duo, loved how the quilting turned out on their "Winter Wonderland" quilt. They were thrilled. 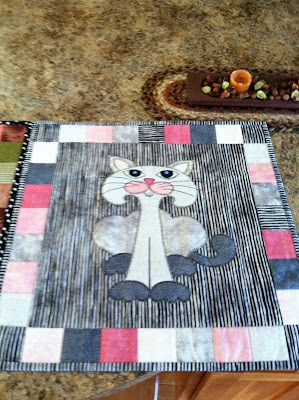 I just finished quilting another one of their quilts. This time the quilting was simpler, but this quilt is a giant! I could barely get it in the photo! We agreed that an allover would be perfect for the quilt. I think the quilt design compliments the quilt perfectly. My clients did a wonderful job picking out the fabrics. There is a lot of gold in the quilt, which really gives it a richness. I love to see the quilting from the back. The backing is flannel. Soooo cozy! I used Hobbs wool batting. Wool...my favorite. I tried a new thread on this quilt called Glide. Glide has a really pretty sheen to it. Perfect for this quilt. The name of the color is great...Vegas Gold. Reminds me of a name that would be used for an eyeshadow or lip gloss. Oh, how I love the Happy Dance! :-) Blue Winter Wonderland is no longer a work in progress, but a finished beauty! Yes, once again this will be a difficult quilt for me to part with. Honestly, I wish it was mine. I really really enjoyed every second of quilting this. I was able to try some new quilting designs. It was just amazing how this quilt came to life with the quilting. My client did such a beautiful job. This was her first embroidery quilt. I misspoke in my previous post when I thought it was her first quilt. Either way, it's gorgeous!! The backing fabric is very pretty. I think it would have looked pretty cool with a white muslin too. The quilting would really stand out and give the back a lot of texture. Something to think about if anyone is making this quilt out there. - I used Hobbs wool batting. - I used So Fine Thread in all the white areas, top and bobbin. Isacord on the rest, top and bobbin. - I stitched all around the embroidered areas. Sometimes I stitched a little on them when I had to cross over into another area. So Fine is such a fine thread that it's not noticeable.